05/08/07 - z390_v1.3.03_PDF.zip optional download of all z390 PDF documentation files. mz390 now has Macro Pseudo Code generator for a 3 to 1 performance improvement. In addition the new TRACEP pseudo code generation and execution trace file TRM shows the value of macro variables used in AIF and SETA, SETB, nd SETC statements executed. Both the TRACEM and TRACEA options now show both the macro source line and generated statement number for each source line. The PRN listing now includes the generated line number and + macro generated indicator. z390 now has Support for Linux with Pearle script and source modifications for case sensitive file names on Linus. Producer/Consumer locking used to pass generated BAL from mz390 to az390 eliminating need to create external BAL file. mz390 also passes file and line cross references for use in errors. New BAL option added to request BAL file if desired. 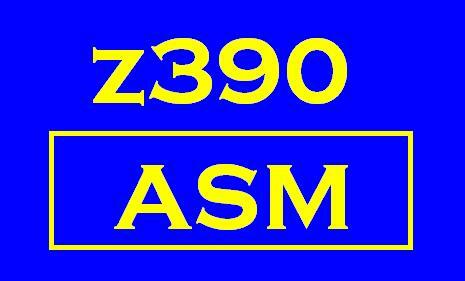 az390 can still be run independent of mz390 using BAL file input but this mode is not recommended. mz390 accesses az390 symbol table with locking as required for support of ordinary symbol references in AIF and SET expressions. This eliminates redundant code previously in mz390, and also now includes look ahead support for ordinary symbols. az390 new option LISTUSE displays active USING definitions after each USING and DROP. mz390 extended to support complex test processing applications with up to 10 AREAD and 10 PUNCH text files concurrently. CTD and CFD Convert To/From Display macros added to support conversion of 128 bit integers and all floating point types to/from 45 character display format using scientific notation for exponents as required. Both z390 svc and mainframe compatible call interfaces supported using FPCONVRT mainframe routine contributed by David Bond. See regression test programs in LINKLIB. Updated BMK\INSTTIME instruction benchmark report contributed by Melvyn Maltz which now includes floating point instructions. New BMK\BMKTIME macro text processing utility to measure the time of any process run between first and second call to BMKTIME in milliseconds. Run BMK\BMKTIME.BAT to see example measurement of the execution of the DEMO\DEMOM8Q1 8 queens recursive macro program which shows improvement of 40k macro instructions per second on v1.1.02 versus 35k on v1.1.01.